Our editor allows you to structure your content with SEO in mind. That's why we've created defined modules for you to structure and organize your content! Text modules are great to segment your content with additional headers or H3's. 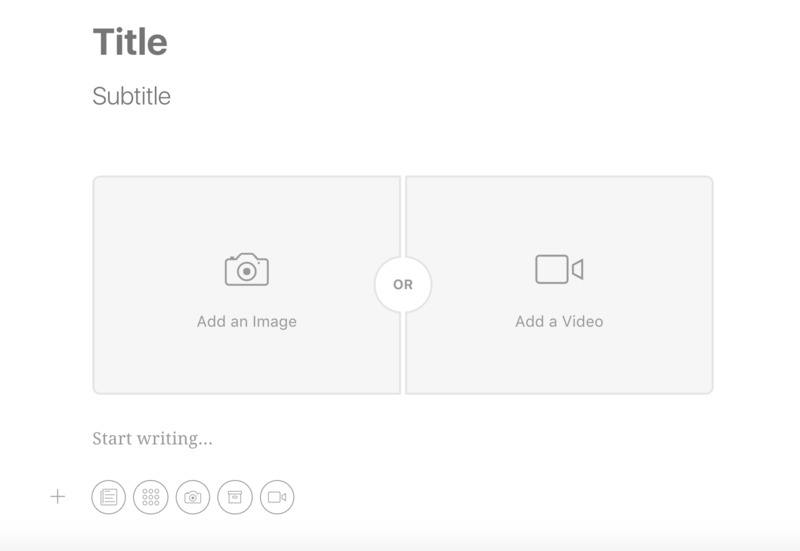 If you would like to feature multiple images in a row for your article, choose the gallery module. Images are a great way to segment your story - and can also act as H3's. You can add an H3 above the image, and an image caption below to attribute proper photographer credit or add more details for your readers. You can insert any product link (Amazon, Bloomingdales, etc) into this module. Upon clicking "Save", you'll see the product and the image. This is a great way to promote your own products, or share products with your readers. You can embed Youtube, Vimeo, and more into the Video module. Even Spotify playlists work in this module! To delete a module, simply hover over the right hand portion and click the trash icon. If there is text underneath your module, please be sure to copy and past it elsewhere, as deleting a module deletes all of the text associated with it. Modules must be created "as you write" your article. You are unable to add a module in between lines. A new module can be added at the end of another module.